Snoop’s Not A Real Rasta? Oh Jah! One of my first blog related to Snoop Dogg conversion to Rastafarianism while on a trip to Jamaica with heavy emphasis on the ‘trip’. He claimed to have found his roots and blah blah blah. Well it turns out that Snoop was trying to infiltrate the Rasta name and wasn’t, isn’t and never will be a real Rasta. Oh Jah! 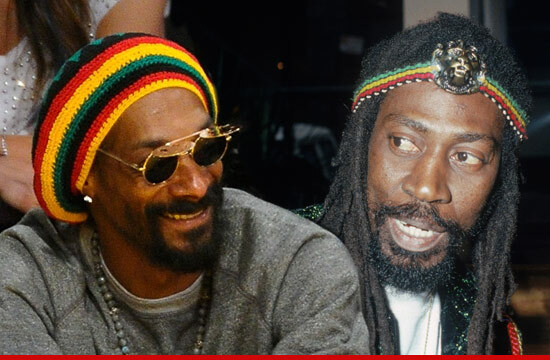 A group of genuine Jamaican Rastas, including one of my favorite reggae singers, Bunny Wailer, (As you wonder who the hell is Bunny Wailer) has called on Snoop to stop using their name and pay up. They allege that Snoop used the Rasta name to make a movie and sell records, otherwise he tried to re-ignite his dying flame. Oh Snoop! I liked the part where they told Snoop that “smoking weed and loving Bob Marley and reggae music is not what defines the Rastafari Indigenous Culture!” I bet you thought it did. Ok, I sorta thought it did too. Well if it’s doesn’t, then what defines Rastas? Smoke weed, love Marley and Reggae, what else is there for a Ras to do? Oh Selassie! Snoop of course had no response to these accusations and when last seen, he was headed to Mecca to answer the call of a dream he had in which the ghost of Muhammad beckoned to him. Not sure what to make of that but The Dogg-turned-lion could resurface as Snoop Dogg Bin Lyin.